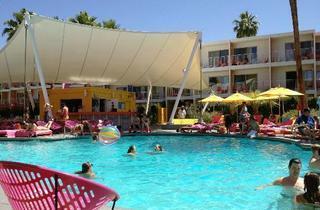 The ‘30s and ‘40s may be Hollywood’s golden era, but mid-century belongs to Palm Springs. 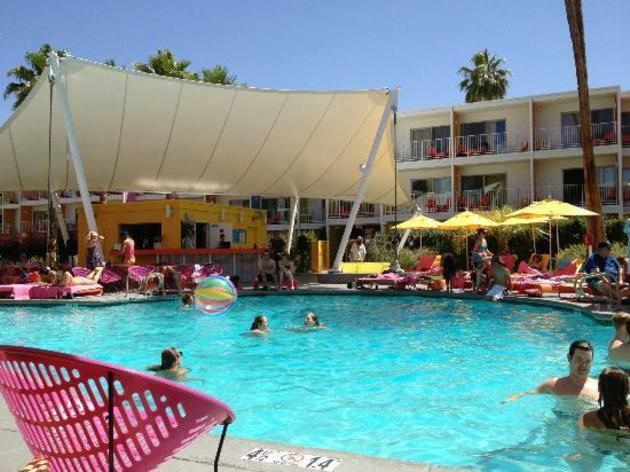 Lean back on a chaise lounge and take in camp classics from the ‘50s and ‘60s such as Pillow Talk, Gentlemen Prefer Blondes and Viva Las Vegas at Dive-in Movies. The parties kick off with a screening of Palm Springs Weekend, wherein a group of LA co-eds on spring break storm the desert to party in a hotel that looks an awful lot like The Saguraro. What better way to see this oft forgotten film than at dusk in the warm desert air, with a margarita in hand and the San Jacinto mountains as a backdrop? Note: These events are for hotel guests only, so book a room to get in on the film fun.